Discussion in 'Tarantula Pictures' started by Ungoliant, Feb 26, 2018. But why do you have it in a terrestrial set-up??? That's what I call 'premoult'! Got this little one today, along with another B. albopilosum and P. sazimai sling, but they were camera shy tonight. When your caught peeking. 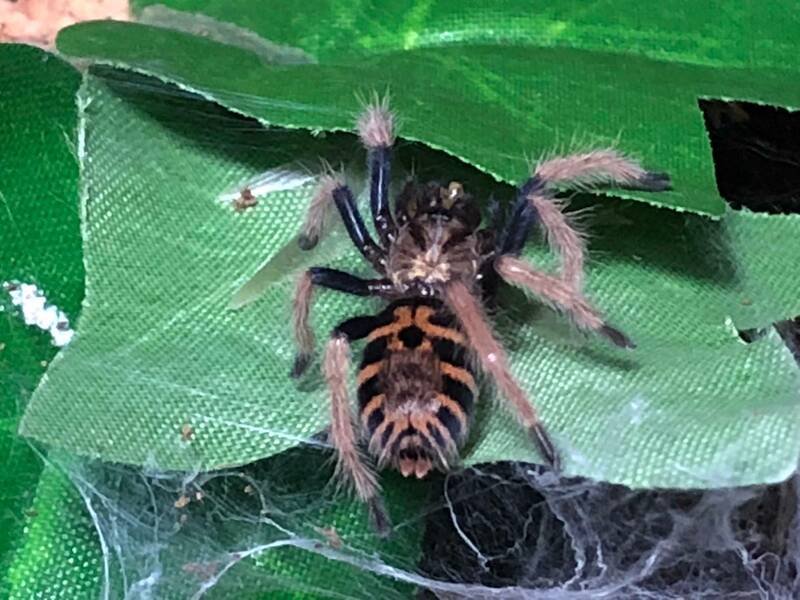 A.genic sling,slow grower 2 molts behind sac mate. I've enjoyed your pics of your T. ockerti. What do you think of this species so far? Trying to decide if I want to add it to my wish list . Thanks in advance! So far, it’s one lovely tarantula. I highly recommend to get a sling and raise it from there. Bean in March. Bean now... not much has changed. Will my teeny one never grow!?! My little Neoholothele incei getting a drink. Here's my three for the moment. I'll try and geta better pic of my GBB later on. F enris My baby A geniculata. He/she's so little and cute!!! 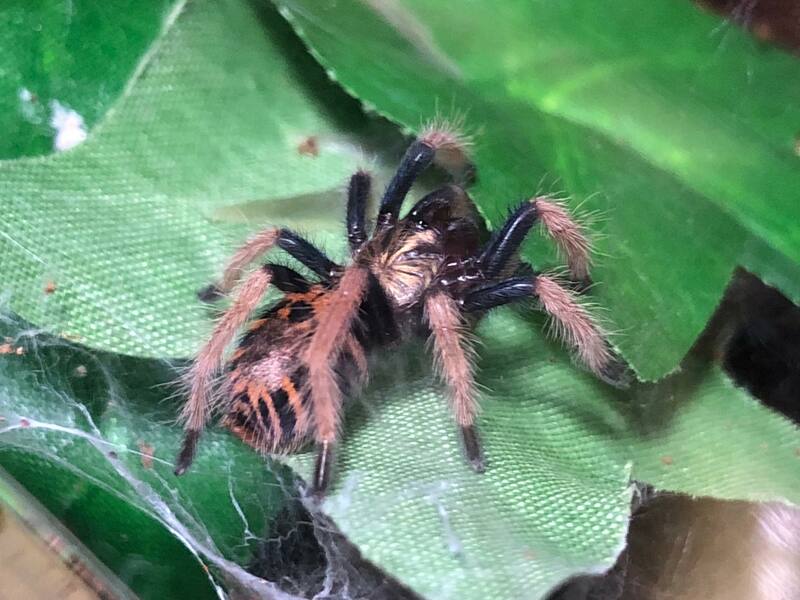 Finally caught my H pulchripes out, what a beauty. Here is my first T, Chromatopelma cyaneopubescens I just got from Fear Not Tarantulas.